Anyone who tells you otherwise is probably selling you something or in denial. And the facts are - it really is getting harder. My evidence - when I first started consulting, it was no problem to get a senior team together for 3 days to plan for strategy and change. Now I'm lucky if I can get them together for 2 hours. It's not that leaders are less capable or interested in doing the right things today. It's that they have no bandwidth...at all. 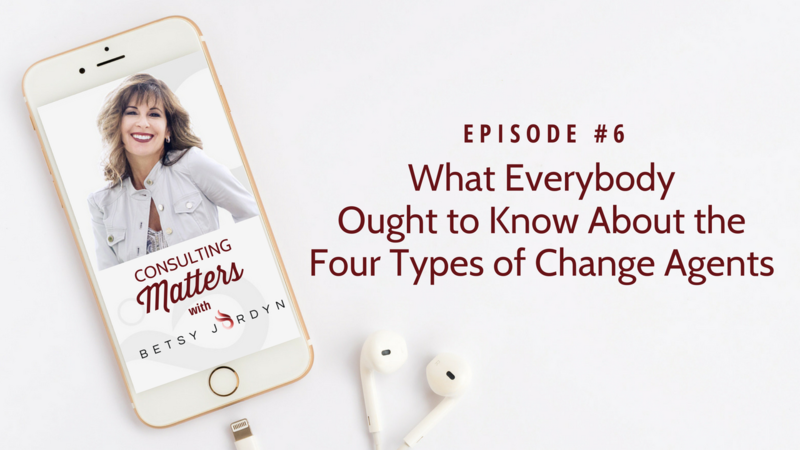 In this episode of my podcast series Consulting Matters: Mastering the Art and Science of Business I will share with you 5 real reasons why change is so much harder today. When it comes to consulting to change, your first task it to identify what kind of change your client is embarking on. There are actually three types of change, requiring different types of change leadership and consulting support. To ensure that your client's change doesn't become another dreaded "flavor of the month," you need to provide them the right tools that are relevant for the type of change they are considering. Change isn't optional but growth is. This is where change agents fit in. They are the ones who ensure that when the marketplace fluctuates and the organization gets larger, the company matures and gets better along the way. Change agents are those who formally or informally lead change in an organization. The title is reserved for those who see a better world AND must be a part of leading others towards that better world. 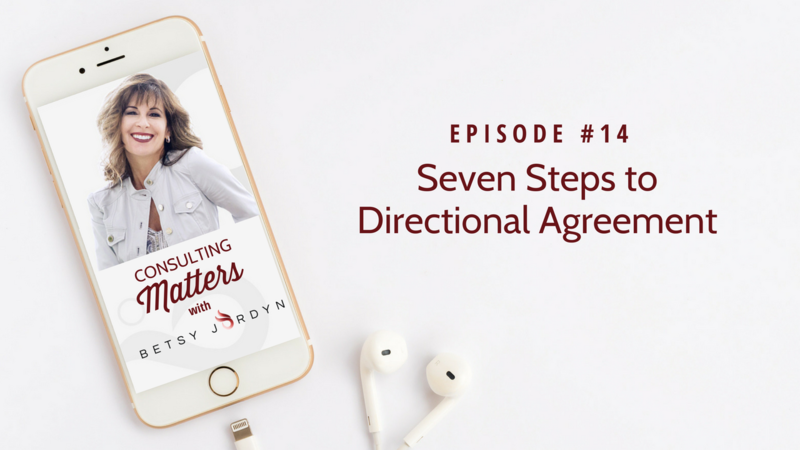 One of the biggest transitions consultants go through is figuring out how to help their clients with massive change projects without positional authority. They may see what needs to be done but they don't have the ability to simply direct others towards achieving those outcomes. 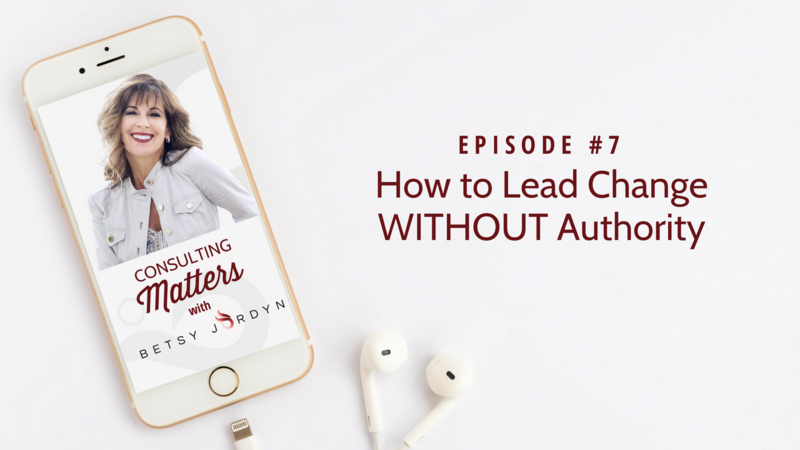 In this podcast from my series Consulting Matters: Mastering the Art and Science of the Business, I am going to show you the secrets of leading change without authority which is clearly understanding and owning your role. 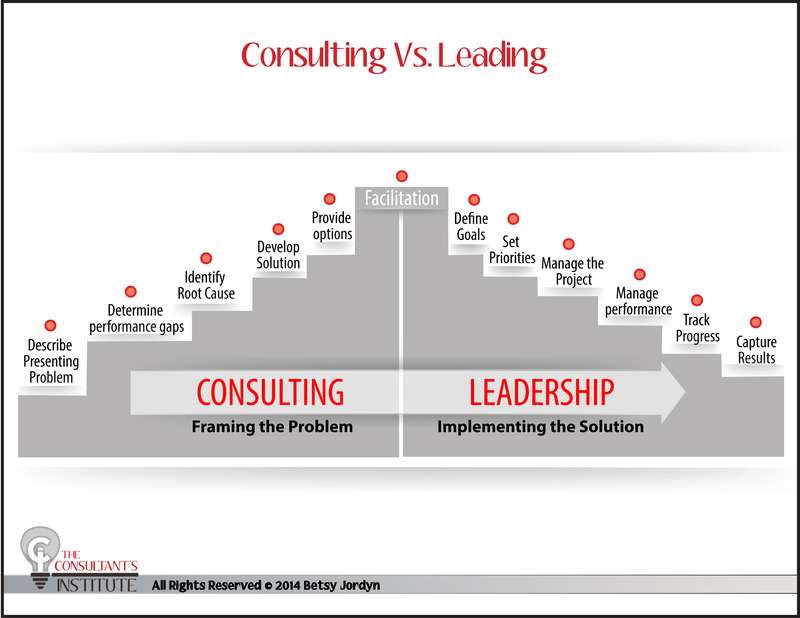 You see, a consultant is not a leader. A consultant is one who helps a leader by framing the problems that the leader is accountable for solving. Consultants frame the challenges and help provide a roadmap for resolution of challenges. Leaders oversee the implementation of solutions and ensure sustainability. I have two children. When they were small, they used to go to daycare. What this meant in practicality to me was: two kids + daycare = many fevers and visits to the doctor’s office. As the parent, I was able detect and even treat the fever. However, in order to get rid of the fever, I had to rely on my doctor to discern whether the fever was caused by a bacteria or a virus and, if so, what part of the body the bacteria or virus was infecting. Then the doctor, using her knowledge of how the body functions, was able to prescribe the solution to dealing with the root cause of the fever. 1. To create real results (vs. expensive band-aids) - your change project needs to be directed towards resolving challenges at the level of cause (not effect). I'll never forget the moment when I first fell in love with corporate politics. I was asked to lead a massive initiative at Disney to help the operations executives redefine the guest/cast and cast/leader experience. This group of talented (and sometimes competitive) senior leaders had never before embarked on a project of this scope collectively and there was trepidation if creating alignment was going to be like herding cats. One of the biggest lies we all believe in is that "It's nothing personal - it's just business." 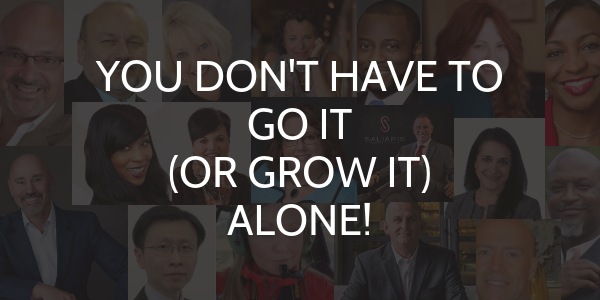 The truth is that when it comes to organizational change - everything is personal. Changes that impact workflow and organizational structure affect more than process efficiency and the bottom-line. They also redefine the work that someone does everyday, who is on their team and future career opportunities. Ask anyone whose job was eliminated as a consequence of organizational change - and they will tell you how personal it felt! The one thing you need to understand about handling resistance to change is that when it comes to change, it feels to most people, "It's nothing business and it's all personal." People who resist change are not evil, slow or backwards. Resistance is a natural by-product of how our brains are wired to help us survive. 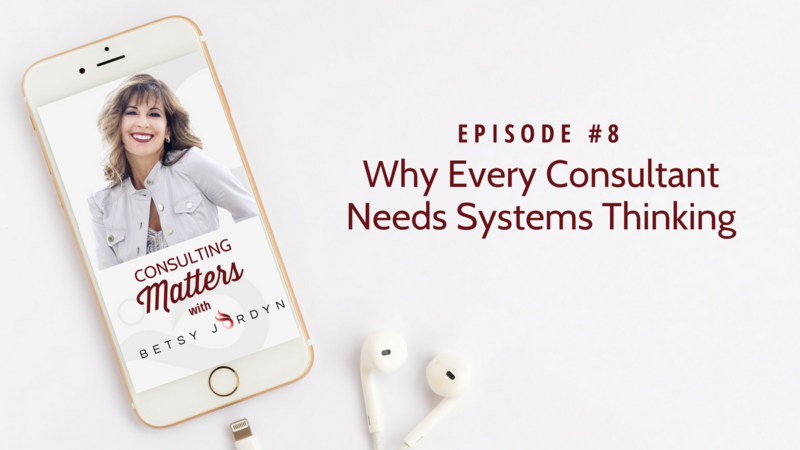 Do you know the ONE thing that will have the biggest impact on your ability to provide amazing consulting solutions to highly influential senior leaders? Is it your technique abilities and unique certifications? Is it your business acumen and ability to speak the language of business? Is it your aggressiveness to convince a senior leader to include you in their strategic work? While those things are important, they are not nearly as critical as mastering your ability to POSITION yourself as a strategic partner. 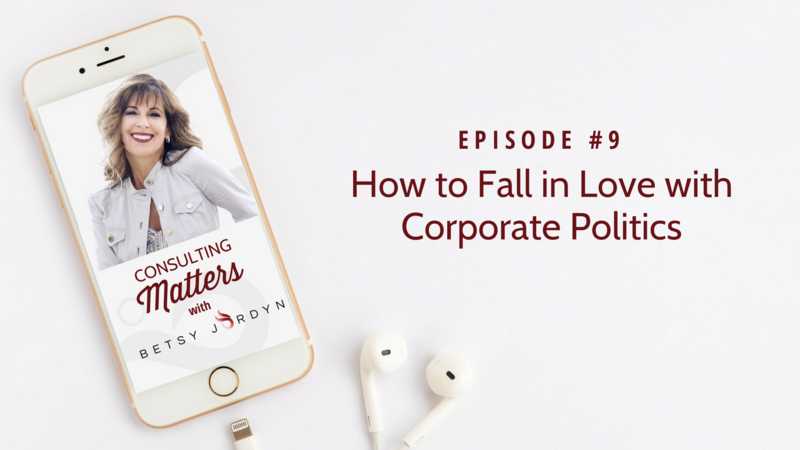 In this podcast, I introduce you to the concept of Partnership Set Up - my unique approach to landing consulting clients. 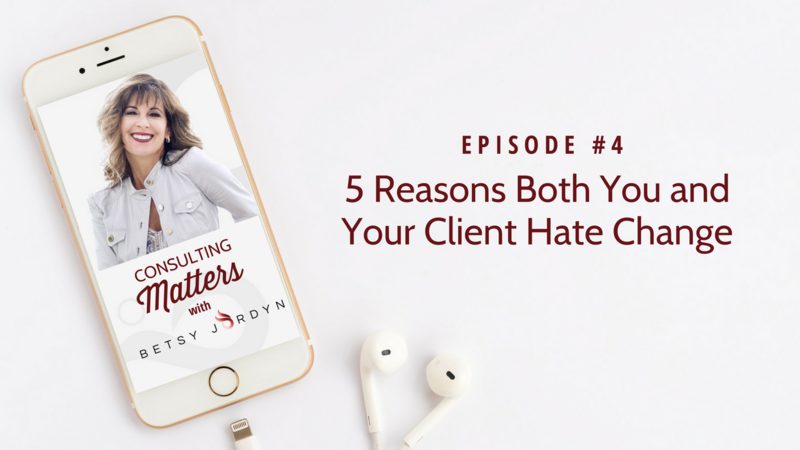 You see, when it comes to consulting to change, it's not enough get to get a client to agree to working with you. You have to create the conditions where you are perceived and leveraged as a strategic partner. 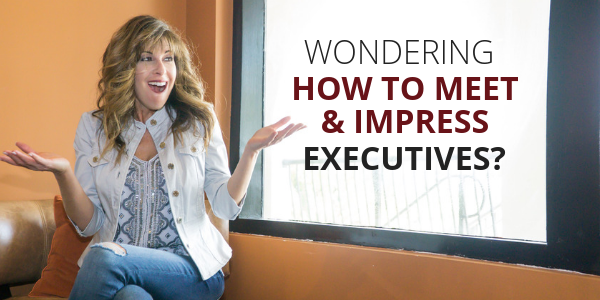 #12: Who Else Wants To Make Marketing Effortless and Fun? 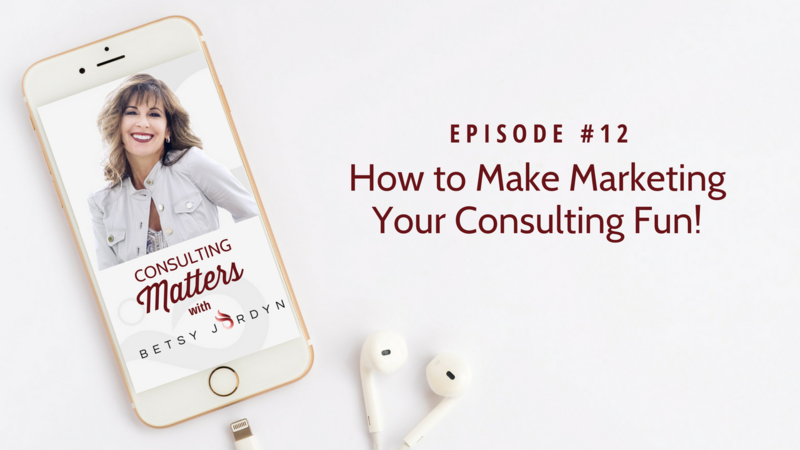 Smart and values-driven consultants typically don't like marketing. Yet they hate being the world's best kept secret. Same goes for internal consultants. 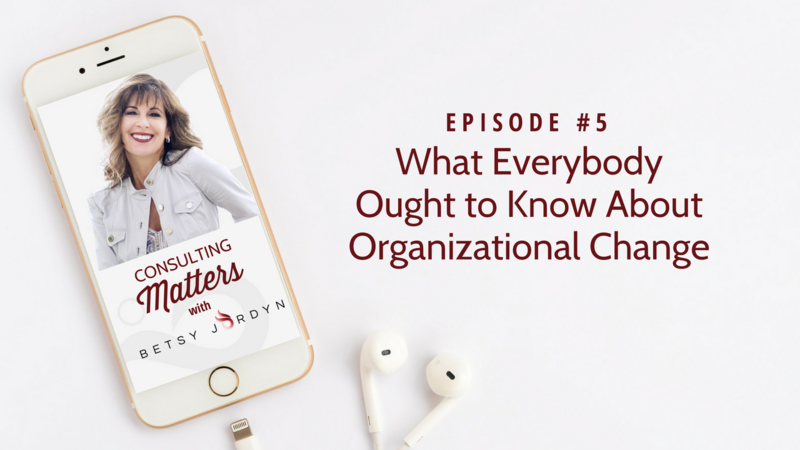 Just because you have an official role in the organization to support leaders through change and transition doesn't mean that they are aware of who you are and how to best leverage your expertise. In this week's podcast - I have one goal: to reframe your perception of marketing. It's not a chore you have to get through in order to finally get to the work. It IS the work. It IS the first opportunity you have to serve clients that have needs that you care very much about. Do you the one meeting that will literally change your client's life and define your entire client engagement and earning potential? 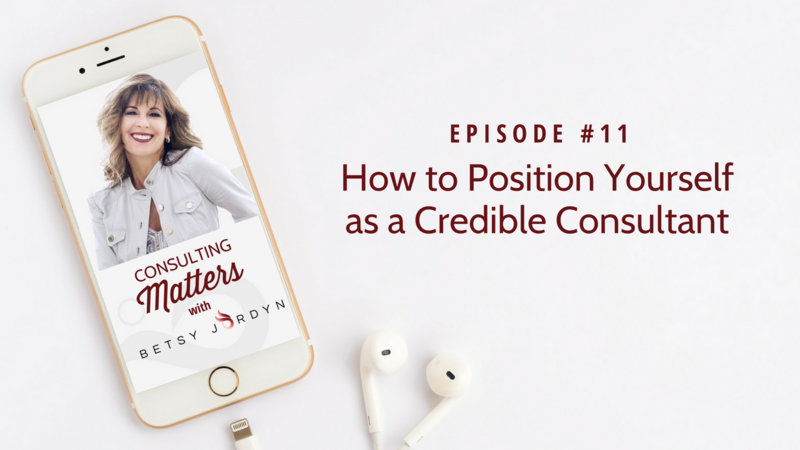 How your client perceives you as either a strategic partner or an "order taker" or "extra pair of hands"
In this podcast from my series "Consulting Matters: Mastering the Art & Science of the Business," I'll walk you through exactly what you need to do and say to set up your consulting to maximize your contribution, credibility and compensation potential.